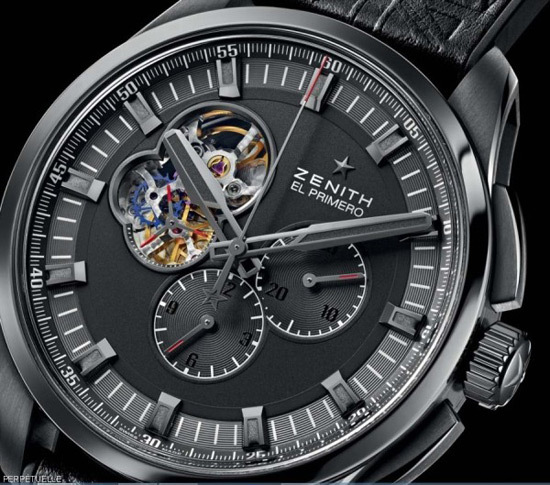 Zenith is teaming up with the famous British rock stars the Rolling Stones, with the launch of a new El Primero Chronomaster 1969. 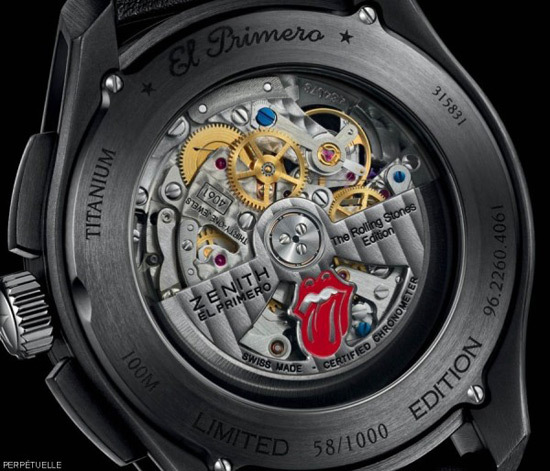 The watch will be the first in a series of limited edition watches tribute to the Rolling Stones by Zenith. 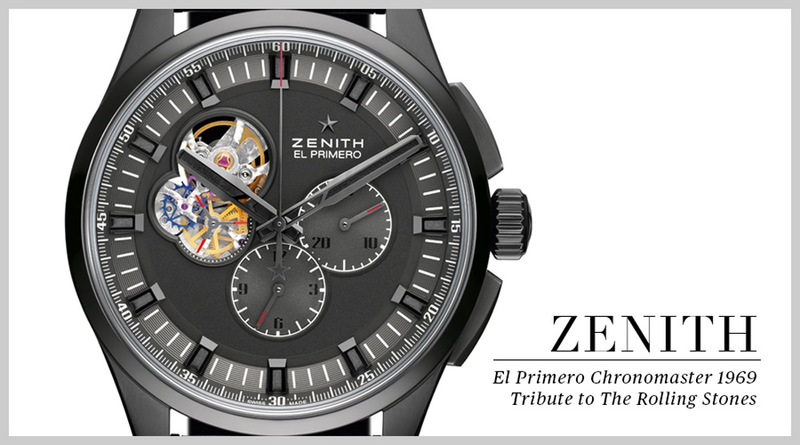 The first limited edition, based on the El Primero Chronomaster 1969 will contain just 250 pieces for the world. The watch comes with a black-DLC finished titanium case and a black strap stamped with a British flag (Union Jack) motif. Everything remains exactly the same within and on the front of this timepiece as on the non-limited version except for the chronograph’s hour counter located at 6 o’clock: it is now filled out by the Rolling Stones’ world-famous logo. The tongue-and-lips logo is also etched into the transparent sapphire crystal covering Zenith’s truly iconic automatic high-beat chronograph movement. The price for one of the 250 pieces of the Zenith El Primero Chronomaster 1969 Tribute to The Rolling Stones is $9,800.